Schneit es monentan in Big White ?Vielen Dank! 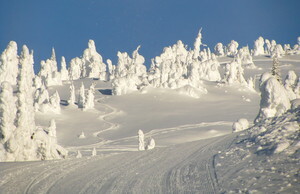 It's the Snow" is our motto at award-winning Big White Ski Resort! Each year, seven meters (24.5 feet) of Mother Nature’s finest, driest champagne powder blankets over a hundred immaculately groomed cruising runs and spacious alpine bowls. You will instantly feel the difference that natural snow makes as you carve turns on perfectly buffed trails, float through the powder bowls, and slalom through the "snow ghosts" – our signature snow clad glades. 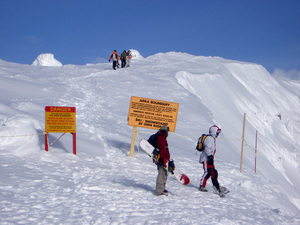 In TELUS Park, skiers and snowboarders can ride the rails, or jump and spin off a whole variety of natural and man-made features. 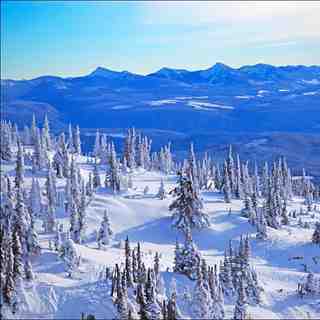 Big White's romantic village boasts Canada’s most modern and luxurious ski-in ski-out resort properties, with room for over 17,000 guests. Hotels, luxury apartments, vacation homes and even themed log cabins, (most with private outdoor hot tubs) dot the snowy slopes. 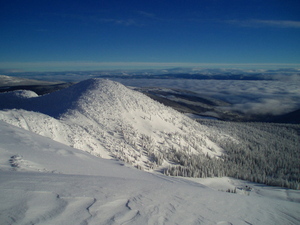 The Village Centre Mall is the hub for all Big White activity and fun. During the day, it houses the ski school, rental shop, main ticket office, Activities Desk, ski shops, and Beano's café. Happy Valley – a short gondola ride from the Village Centre – is where you'll find Big White's famous après‐ski programs – many of which are free! Don't miss the Video Nights, Bingo Night, Big White's Got Talent, Nintendo Wii night, ice skating and pond shinny (ice hockey) on Canada's largest high‐altitude skating rink, dogsled tours, the Mega Snow Coaster tubing park, and guided snowmobile tours – we even have 'Mini‐Z's' for younger riders. With a newly expanded runway and an international arrivals lounge being constructed at Kelowna International Airport, flying to Big White will be even easier than before. 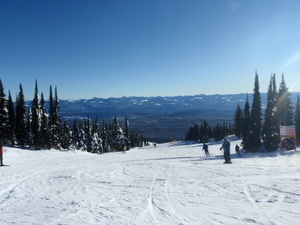 We can have you out of the airport and up to Big White in an hour's time. Yes, the snow is fantastic. The variety of terrain is also great. But the fog! You really take a chance if you come for less than a week. Fog is so prevalent that unless you come for a week you may be disappointed. The web cameras do help the locals decide if it is worth going out. The mountain could use more adult facilities, e.g. over 30. 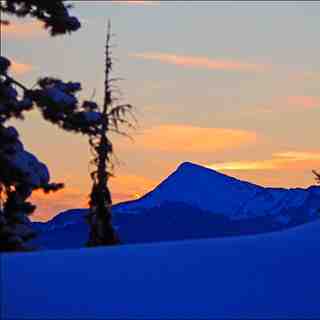 All in all, a great ski mountain when you can see. Lesen Sie 33 andere Beurteilungen ueber Big White oder geben Sie Ihre eigene Bewertung ab.